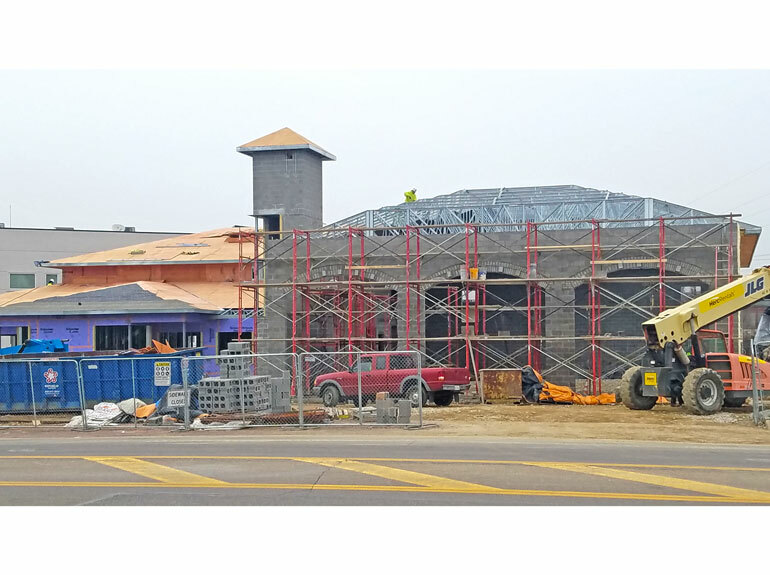 Construction Moves Forward for Akron Fire Station No.2 - Hasenstab Architects - Located in Northeast Ohio, Hasenstab Architects specializes in healthcare, simulation, laboratory, research, higher education, k-12, and office design. Construction is moving forward for Fire Station No. 2 in Akron’s Middlebury neighborhood. The new, 14,455 square foot facility replaces the original fire station on the existing site. The two-story building consists of an upper level, which will house three full-length apparatus bays with support spaces for three shifts of personnel, and a walk-out lower level with a satellite office for the Akron Police Department. The new fire station will also include living quarters for firefighters/medics, a training room with a triage station to serve emergency walk-in patients, and equipment decontamination facilities. Construction is on track to be completed this July.